There is no better way to kick start your morning and your metabolism than by having an early boxing fitness training session. You will release a tonne of good endorphins that will have you feeling great for the rest of the day! This boxing fitness class is guaranteed to have you sweating and your heart racing. Each boxing fitness training session is focussed on improving your cardio fitness and strength but is unique. We ensure you exercise your mind as well as your body. 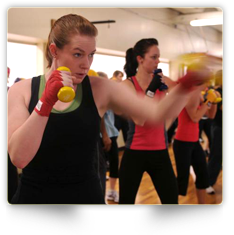 The classes have a boxing focus but also contain strength and conditioning circuits. This will strengthen your whole body and have you feeling strong to the ‘core’. This is the class for you. Work at your own pace but be assured Nick will make sure you are not slacking off! You will be training with like minded people. People who have the same goal of getting fitter, stronger and enjoy the endorphins rush of exercise. Whether you are just getting into fitness training or are a fitness training veteran the class atmosphere is all about helping each other reach your individual goals. interval style circuits with a strong focus on core, legs and bum to get trimmed and toned. 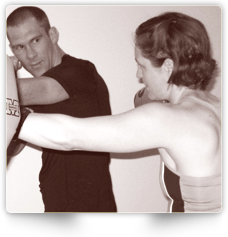 Nick offers private tuition which can be boxing fitness training, general fitness training, conditioning or martial arts focussed. Fitness training sessions can be one on one to focus on your specific needs or a small group with a common focus. These fitness training sessions are highly customised to achieve your goals. Whatever your fitness objective you can be sure you will reach it faster with private sessions where all of the attention is on you!